The caffeine saga at LPR had its ups and downs in 2016. 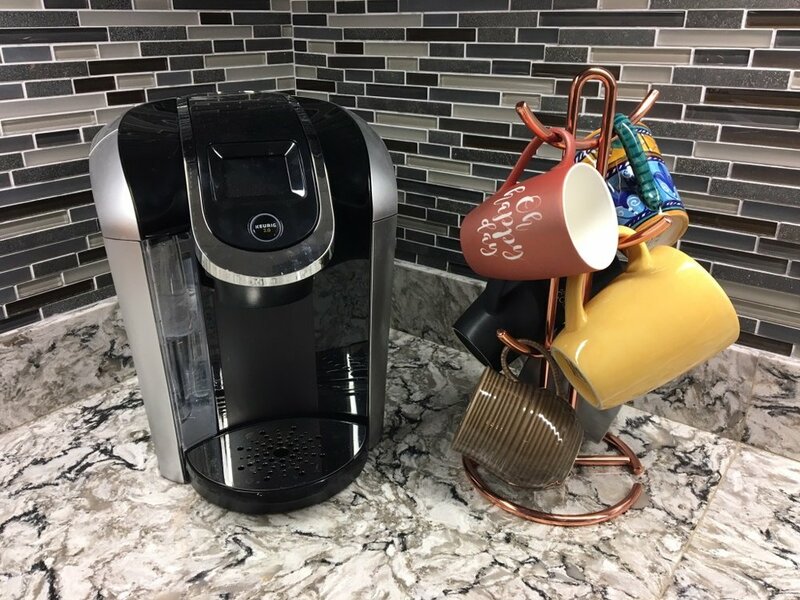 After retiring our faithful first-generation Keurig coffee maker, we replaced it with a newer model and continued to deliver great client work – fueled by caffeine, of course. In September, LPR’s Christi Chesner (now Matthys) was married in the mountains in beautiful Granby, Colorado. So we did what any family does: we packed up and headed to Colorado! We stayed at the Granby Ranch ski resort, enjoyed the cooler weather (it even snowed! ), watched Christi say “I do” to her husband, John, and briefly considered relocating LPR to the mountains. DFW Airport introduced their K9 Crew, a group of therapy dogs that help calm the nerves of anxious flyers. The dogs made their debut on the DFW orange carpet and completely milked all of the local, regional, trade and national media attention! Topgolf launched its first national Topgolf Tour in which men and women amateur golfers competed at various regional tournaments around the country. The winners advanced to the Topgolf Tour Championship in Las Vegas for a chance to win $50,000! The Alon Brands Clean TEAM Awards ceremony is an annual event celebrating the company’s store and district managers with the best store appearance scores. In addition to a banquet dinner, managers spin a giant prize wheel for a chance to win a new car, destination trips and more. It’s always a hit (and allows us to show off our event design skills)! When stress levels are high, sometimes you just have to dance it off. We’ve found that a quick, five-minute dance break can get the creative juices flowing and help us refocus on our to-do lists. Besides, what is life without a few dance breaks? In June, we brought on recent Baylor grad Ashton Brown as an associate. In addition to delivering stellar work, she’s definitely upped the sass level in the LPR office. We were also thrilled when graphic designer Sarah Sullivan joined our team in December. Not only has she helped expand LPR’s creative wheelhouse, but she’s an avid Patriots fan who can dish out the Cowboys trash talk like a pro. Although it was a crazy ride at times, we wouldn’t change anything about the past year. We’re thankful for every person who helped make 2016 a fantastic year for LPR. We’re already looking ahead to 2017, excited about new opportunities and ready to hit the ground running.